It began with a simple curiosity. An inquiring desire to transform a window into a fashion statement with innovative functionality and impressive style. 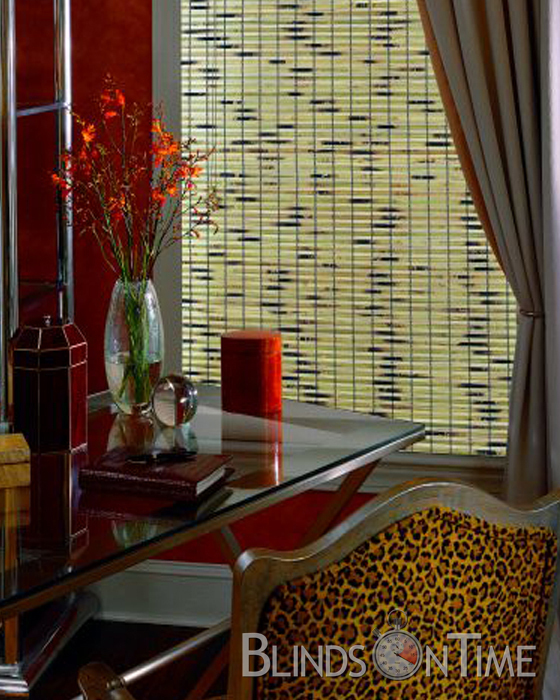 That desire grew into a vision to create window shades without limitations. 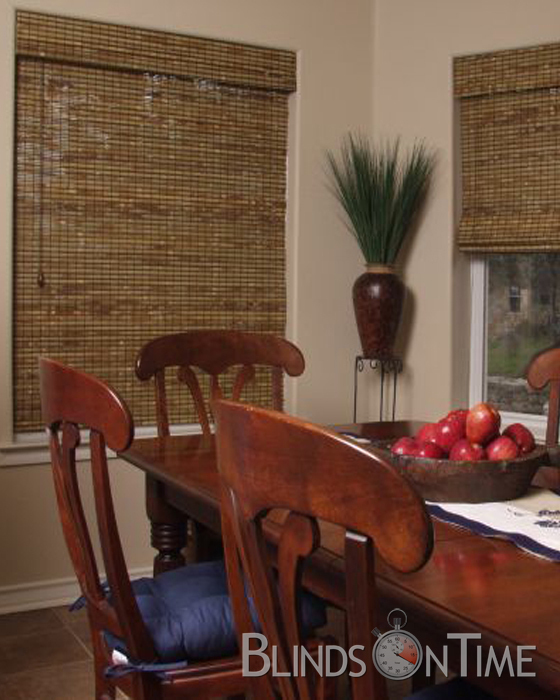 Recognizing a window shade's unique ability to elegantly accent any room of the home, Levolor Natural Woven Shades combine the latest fabrics, textures, and patterns with exclusive, easy to operate light control options. 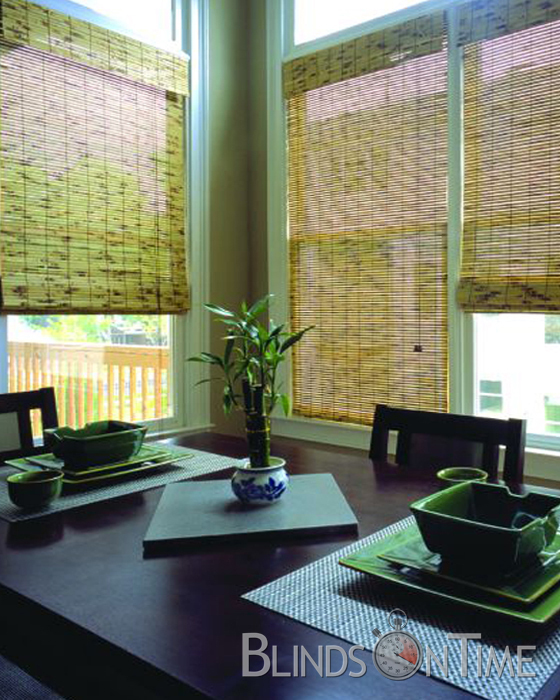 By incorporating these elements into a look that is equally exquisite and functional, Levolor Natural Woven Shades reflect an entire lifestyle in each room. If width is greater than 96", multiple shades on 1 headrail required at an additional surcharge (see options next page). With exclusive colors that coordinate beautifully with your selected finish, these attractive valances create a more elegant and complete look in your window. - Minimum height is 24". If privacy liner is added, maximum width is 72". If width is greater than 84", multiple shaded per headrail required at an additional surcharge. A Levolor exclusive, gives your window a clean, finished profile. Simply push up on the handle to open, or pull down to close with little effort. Improved safety in your home for children and pets. 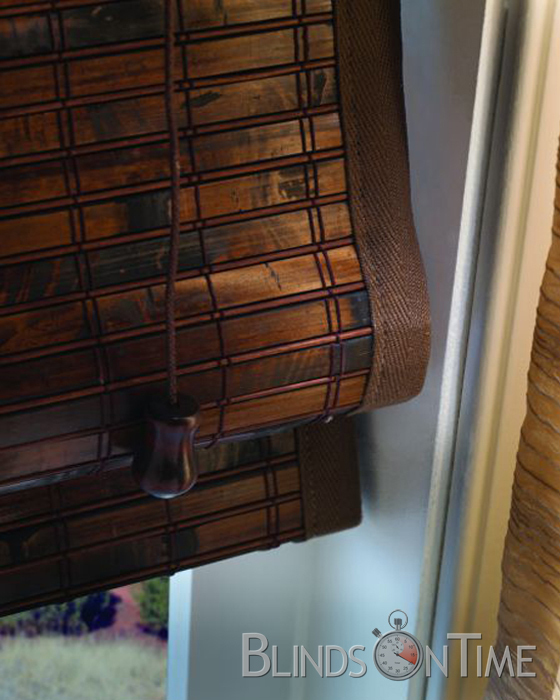 Waterfall Waterfall shades are made with material attached to the fron of the wood with a valance attached to the back of the wood headrail to hide components. The lift cors will be behind the material. Continuous Cordloop - Minimum height is 18" and minimum width is 18". Maximum height is 108". 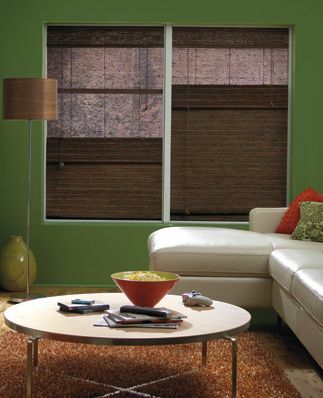 privacy, these liners put you in control of the overall lighting and mood of the room. Both liner styles are available in four coordinating colors. The recommended liner color will automatically be selected, or you may choose your desired color. Light Filtering or Room Darkening Privacy Liner - Maximum liner width is 96" and maximum height is 96". This decorative edge binding features fabric that is applied around the edges of the shade, creating a clean, finished look. 1" tailored edge is great for windows smaller than 36" wide. Use 2" tailored edge for larger windows.